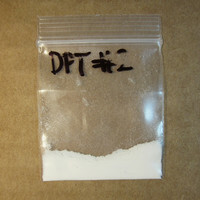 DPT is a psychedelic tryptamine that can be as intense as DMT and 5-MeO-DMT with its peak effects. It’s historically been less common than both, possibly because its effects are less comfortable for many users, particularly compared to DMT. Far less is known about the drug and it’s not clear how safe it is. More negative physical effects appear to exist with it relative to DMT. It was briefly tested in therapy settings during the 1970s and 1980s. Some of the findings were promising. Dosing is complicated by the fact that individual users can respond in very different ways to DPT. It’s possible for a low-common dose to produce very strong effects. You should always start with a light dose and work up slowly. It’s even more complicated with oral dosing, which sometimes doesn’t yield any notable effects in the absence of an MAOI. DPT is primarily taken via inhalation, intranasal, and intramuscular. The duration appears to reliably extend (to a point) as the dose increases. I’ve listed the average common dose durations. The core effects at common to strong doses can be very intense and all-encompassing. Dissociative experiences in which the user becomes temporarily separated from reality have been reported. The details of each “breakthrough” or full psychedelic experience vary between users. A lot of users find it’s more psychologically difficult than other psychedelics. This isn’t true for everyone, but it is less pleasant on average. When the full effects are present, it may be essentially impossible to operate in the real world. Some users report being unable to move and even if they’re aware of their surroundings, the visuals and other effects can make the experience severely disorienting. Interestingly, some users have reported very visual experiences without negative physical effects or any psychological impairment/distress. Light doses primarily lead to a somewhat altered psychological state and minor visuals. The psychological changes may include greater emotional fluctuation and memory recall. Some users report having an internal “self-exploratory” experience at this dose. Once the dose moves into the low-common range, the visuals intensify. It’s common for the negative physical effects to become more prominent, such as sweating, perceived tachycardia, and nausea. Movement might be difficult. The more complete effects develop somewhere in the common range. That exact point varies by user and between uses. Users report it is harder to attain a full breakthrough or strong psychedelic experience when taking it orally. All-encompassing experiences more readily develop with eyes closed. This matters less with sufficiently high doses. Those experiences may include seeing one’s memories, feeling as though you’re dead, feeling like you’re flying through space, or encountering entities. Spiritual experiences can occur, though they’re not guaranteed. On average, the effects are more confusing and less pleasant than with DMT. That being said, they span the full range from amazing and wonderful to depressing and terrifying. Its visual effects can be very complex and even freestanding hallucinations may develop. A few trials were completed to see if could be useful as a therapeutic agent for cancer patients and alcohol addicts. One study in addicts with 15 to 30 mg found the drug produced a more productive/beneficial psychological state than placebo. They rated the effects higher on scales for self-exploration, intensity of feeling, emotional expressiveness, and recall of memories. This test didn’t actually look at its impact on addiction. However, the conclusion was that those psychological effects at relatively low doses could aid in therapy. A study examining the potential anti-addiction effects involved 51 people. A mean of 1.9 sessions with DPT were provided, with a range of 1 to 6 sessions. There were significant improvements in therapeutic outcomes (including abstinence) among 47 (92%). When the same effects were investigated in a randomized trial comparing DPT-assisted psychotherapy to regular psychotherapy or regular hospital treatment, the efficacy changed. DPT initially seemed to offer superior outcomes, but the difference disappeared by 6 months. The regular psychotherapy group actually had better drinking outcomes and social functioning than the other two groups. More research is clearly needed to fully investigate this use for the drug. 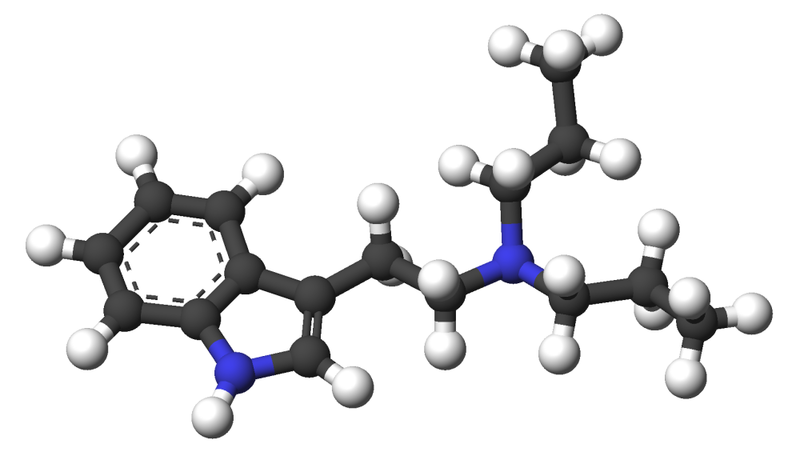 A study examined its ability to serve as an alternative to LSD. The researchers hoped to find a useful psychedelic with a shorter duration. Psychotherapy was provided before and after the session. The therapists also helped to assure participants during the drug session. Users were given eyeshades and headphones to wear. During this trial, the mean dose was 101.7 mg intramuscular (75 to 127.5 mg). Effects developed in 2-3 minutes and lasted for 2.5 to 4 hours. Unlike with LSD, it was found the effects abruptly terminated, suddenly leaving participants essentially back to baseline. Therapists believed the participants exhibited lower psychological distress after the session and there were lower depression/anxiety scores. Greater improvement was seen on self-reported measures. As we’ve seen in other psychedelic studies, “mystical” experiences were considered potentially useful in the therapeutic action. 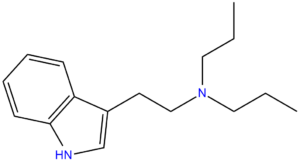 DPT is a synthetic tryptamine that’s similar in structure to DMT. It differs from DMT in that two propyl groups have replaced DMT’s methyl groups. Not as much research has been conducted on it relative to other psychedelics. However, we have some understanding of its activity based on its effects and formal research. 5-HT2a agonism is present, likely in addition to 5-HT1A partial agonism. Some pieces of evidence had pointed towards antagonism, but that doesn’t seem accurate. Other serotonin and non-serotonin receptors could potentially be involved. In discriminative stimulus tests using rats, it fully substitutes for DOM. The DOM-like stimulus can be blocked by a selective 5-HT2a antagonist. It appears the drug was synthesized sometime in the 1950s and it was first tested in dogs in 1954. Tests in humans during the 1960s confirmed its psychedelic/hallucinogenic action. A handful of trials were conducted to see if it may be a useful drug in therapy settings. Some of the trials, which were mainly conducted in cancer patients and alcohol addicts, involved Stan Grof. Even though the results were somewhat promising, not enough research was done to come to any conclusions. The work in cancer patients was covered in a CBS 60 Minutes piece in the late 1970s. Research of this kind ended by 1980. Some use began to be reported, much of which was connected to the Temple of the True Inner Light, a group based in New York. They were using DPT for spiritual purposes and they took it via inhalation or oral. Use outside of this group is poorly documented and was probably rare. It’s never been a top psychedelic, despite its legal status. The DEA reported a rise in the number of DPT samples being sent to labs in the US. DPT was showing up with greater frequency, just like 5-MeO-DiPT, 5-MeO-MiPT, 5-MeO-AMT, and 5-MeO-DMT. Research into its pharmacology confirmed its activity at serotonin receptors. It is still available from some online research chemical companies and often isn’t illegal. Nevertheless, it continues to be a pretty uncommon psychedelic. It is controlled in Florida and Maine. Belgium, Greece, Latvia, Japan, Sweden, and the UK. Not much is known about its safety, but it doesn’t appear common doses would be physically dangerous acutely in a healthy person. It’s best to take it at common doses, infrequently, and without combinations. There are no fatalities on record in connection with the substance. While one alleged death did occur in Minnesota in 2015, the role of DPT was not confirmed. Psychological concerns do exist and there’s some potential for temporary psychosis. Transient anxiety and paranoia are more common. Those with existing psychiatric disorders shouldn’t take the substance. (2015) Classic hallucinogens in the treatment of addictions. 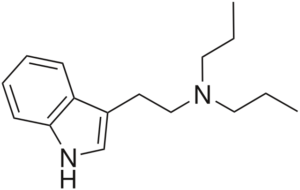 (2008) Hallucinogen-like effects of N,N-dipropyltryptamine (DPT): possible mediation by serotonin 5-HT1A and 5-HT2A receptors in rodents. (2007) Behavioral effects of dipropyltryptamine in rats: evidence for 5-HT1A and 5-HT2A agonist activity. 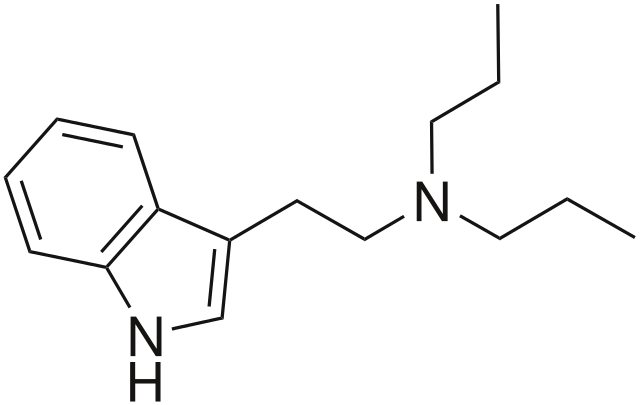 (2005) Binding properties of dipropyltryptamine at the human 5-HT1a receptor. (1973) Low doses of Dipropyltryptamine in psychotherapy.